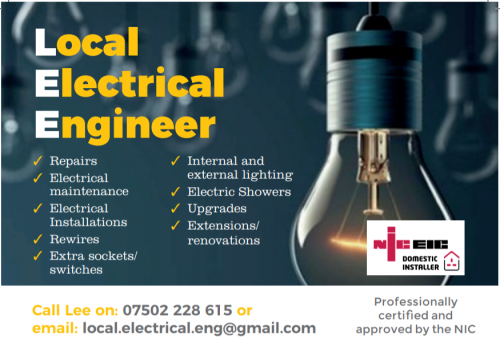 Local Electrical Engineer aka Lee the Electrician available for all domestic electrical work. Household electrician approved by NIC EIC. Local around the Southam area.